Stretching more than three miles long, Colombia Pike is better known as Arlington’s Main Street. This strategically designed community runs from the Arlington Cemetery to the western border of Arlington, abutting Fairfax County. This uniquely designed community is in the midst of revitalization plans that will increase apartment options and commercial opportunities. Living in our Columbia Pike apartments gives residents easy access to some of the community’s most popular attractions, including the farmer’s market and the Blues Fest. Each summer and fall, Columbia Pike residents can stroll over to Pike Park Sunday mornings and purchase fresh fruits and vegetables grown by local farmers. The Farmer’s Market runs from May through November. The Blues Fest is held each summer in the park and draws crowds from all over the metro area. The area also includes a variety of unique restaurants, movie theaters, museums, and historical sites, including Alcova, Harry Gray House, and Arlington Village Historic District. The Columbia Pike community is home to over 500 businesses with nearly two million square feet of commercial space. Residents do not have direct access to a Metrorail station, but Columbia Pike has provided public transportation in the form of Metrobus and ART, which offer connections to nearby Metrorail stations. Residents can also utilize the Walter Reed Community Center and Park for recreation and meeting purposes. The nearby neighborhoods of Arlington Village, Douglas Park, and Arlington Heights provide a suburban feel with quick access to restaurants, shopping, and entertainment options in Columbia Pike. Residents looking for a city vibe in their living can access one of the many Columbia Pike apartments located along the long stretch of the neighborhood. This area is currently home to a quarter of all Arlington residents and, with larger projects planned through 2040, there is room for even more commercial property, as well as an estimated additional 7,000 residents. With easy access to a myriad of restaurants, shopping centers, historical sites, and public transportation, apartment dwellers in Columbia Pike can enjoy the fun nightlife or quiet evenings overlooking the community. Colombia Pike is a quick drive to the Potomac River for a day on the water. 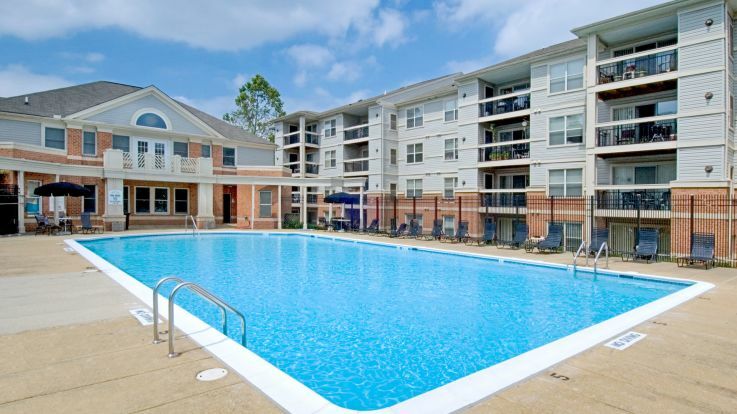 Residents of Columbia Pike can choose from tons of stunning apartment communities. Most of Equity’s Colombia Pike apartments include pools, security, and/or fitness facilities, in addition to excellent locations.